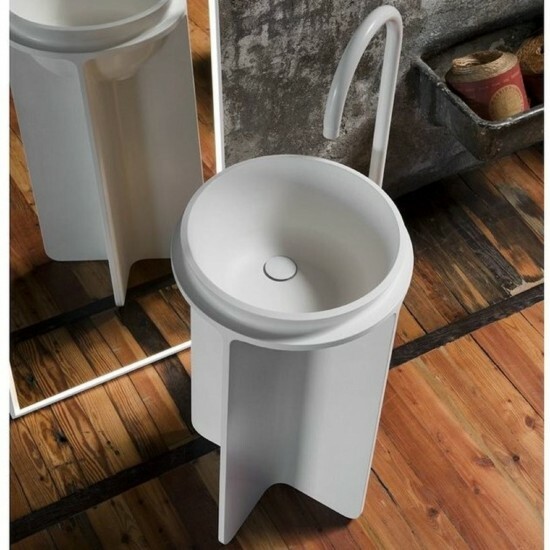 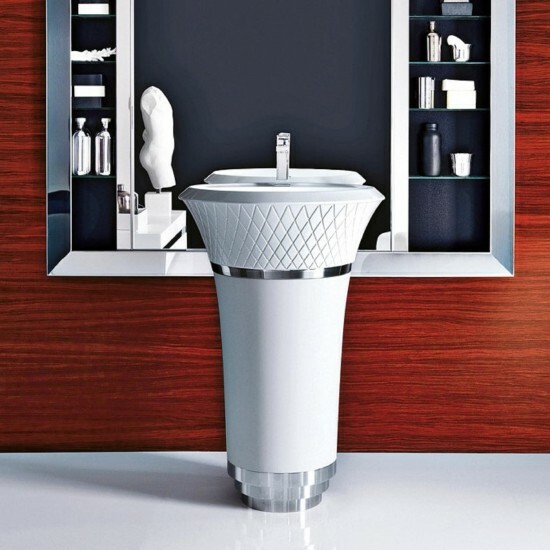 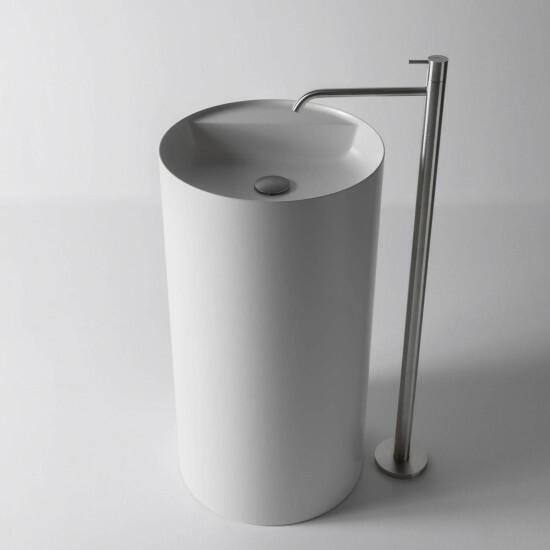 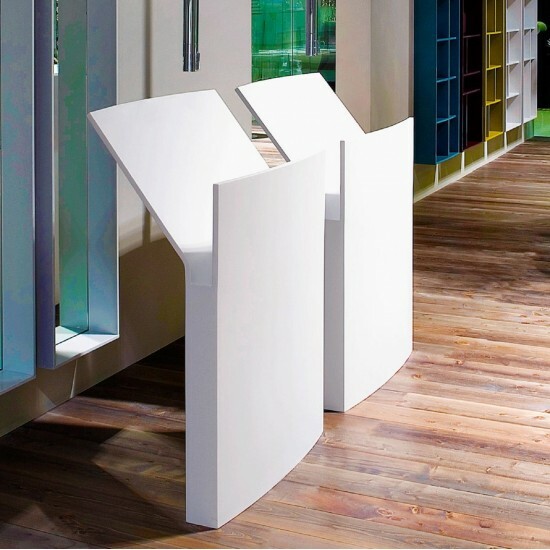 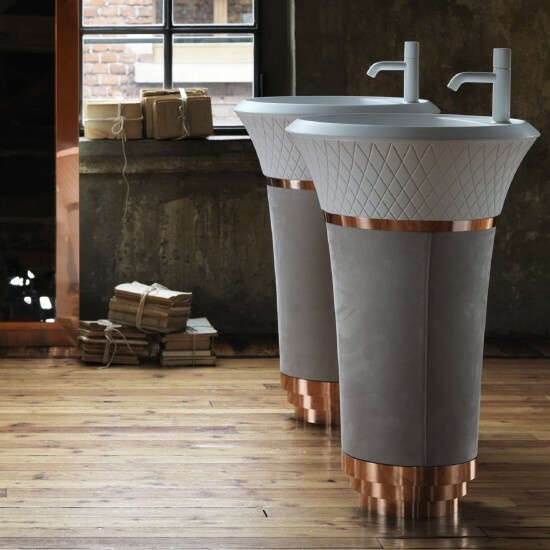 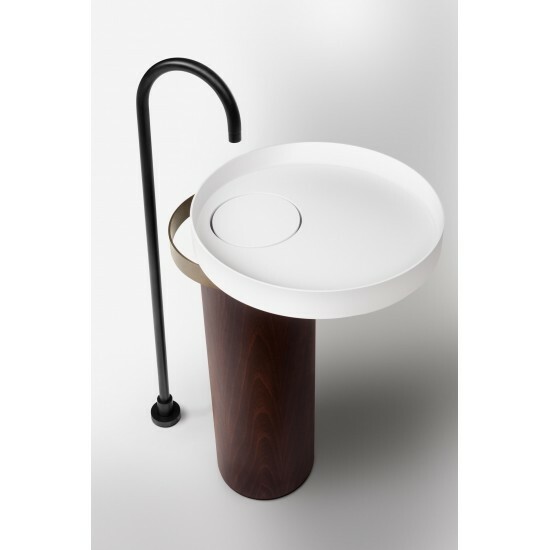 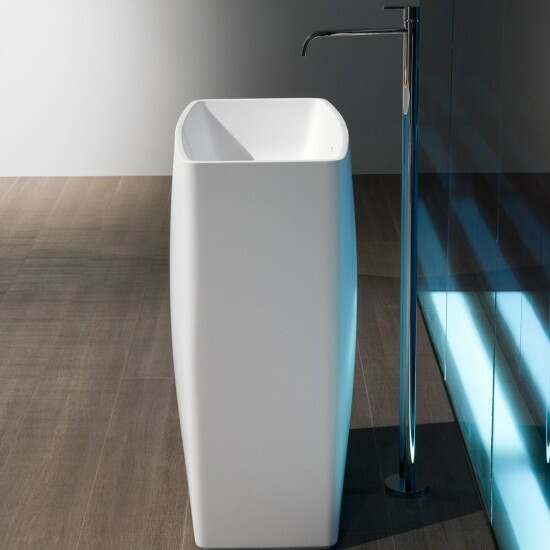 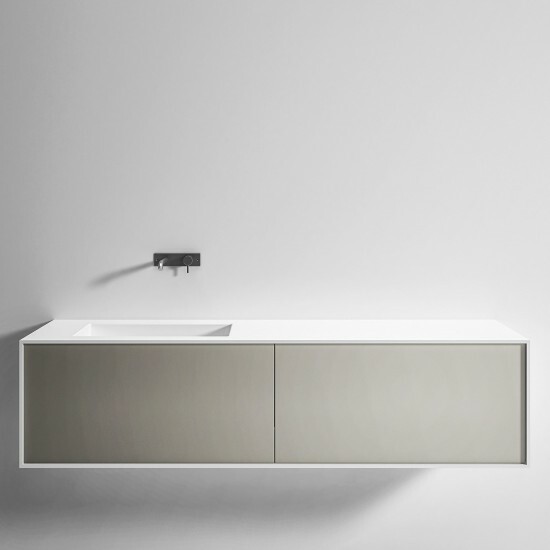 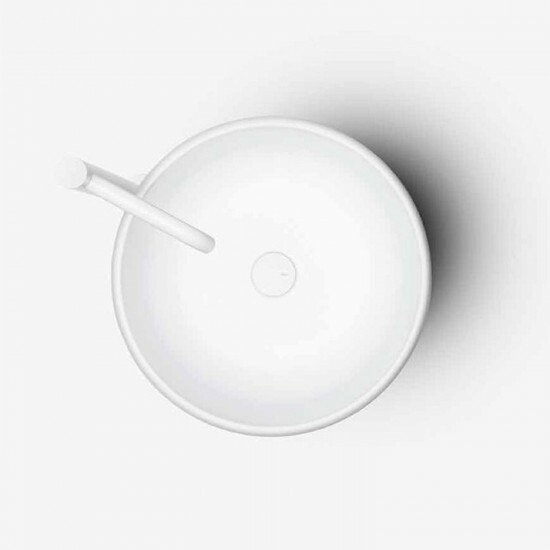 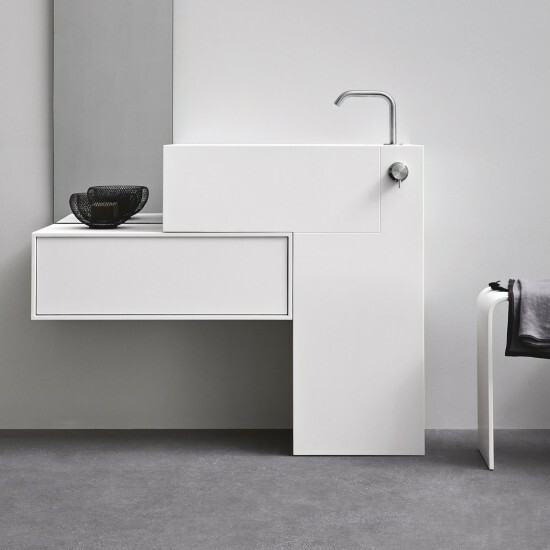 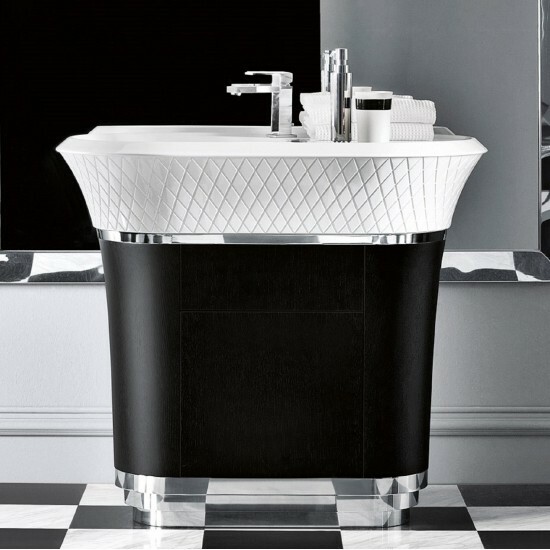 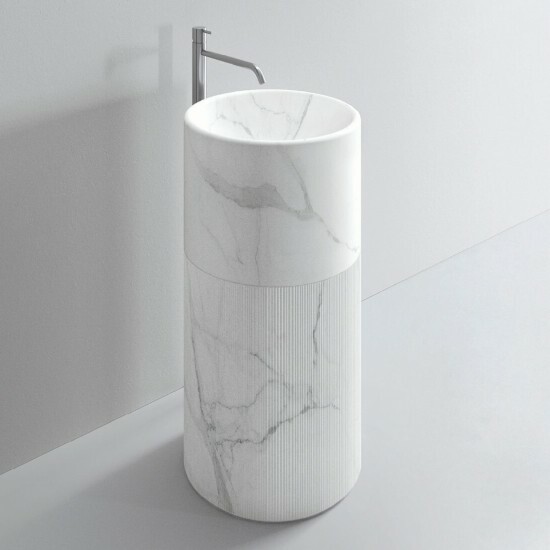 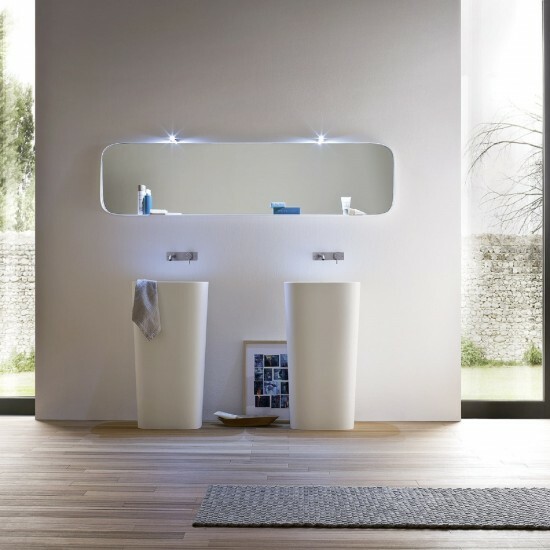 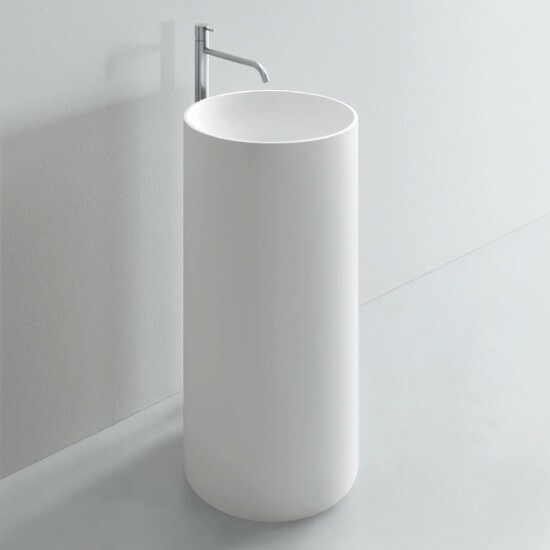 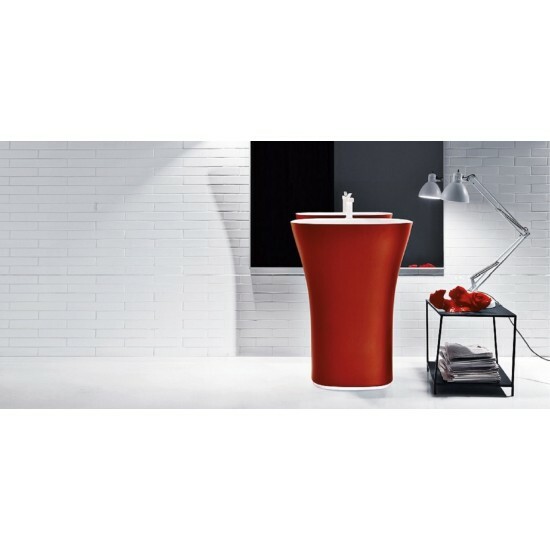 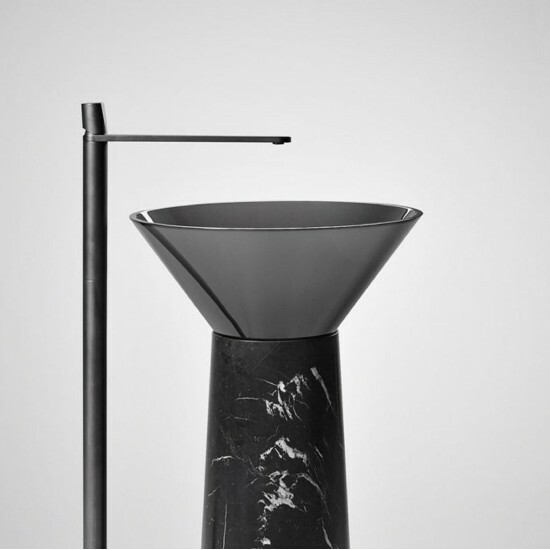 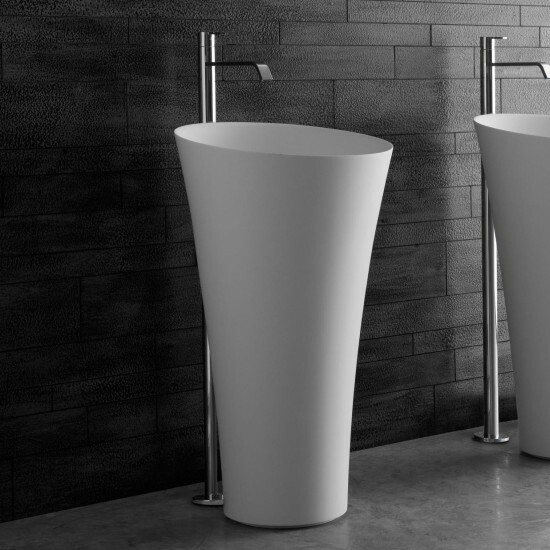 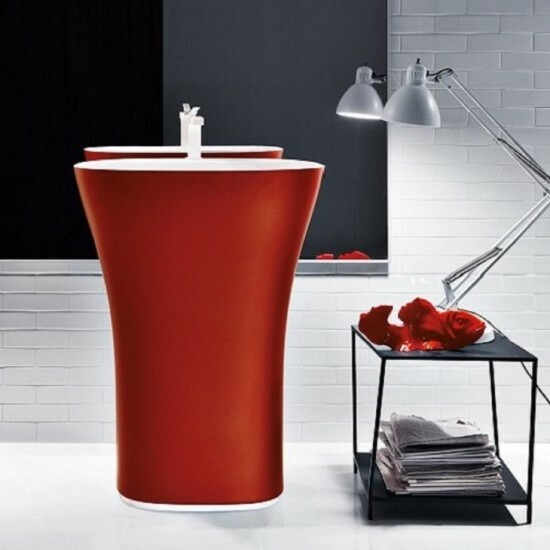 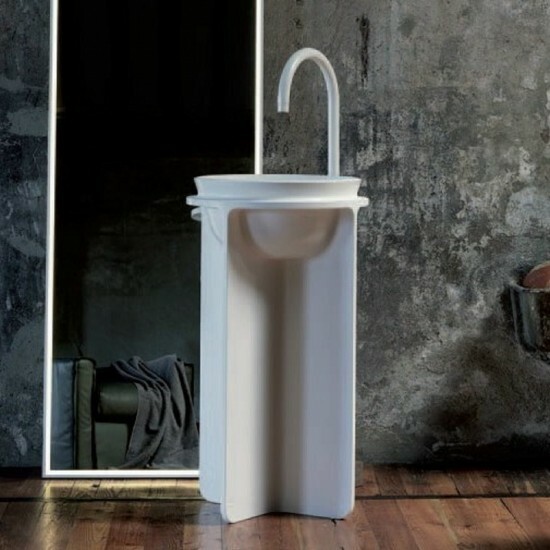 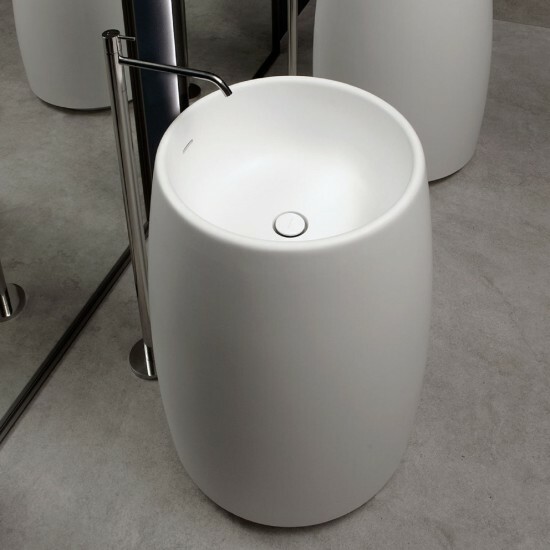 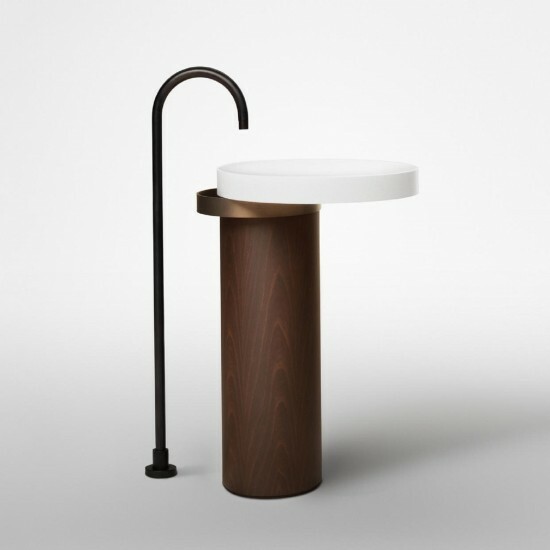 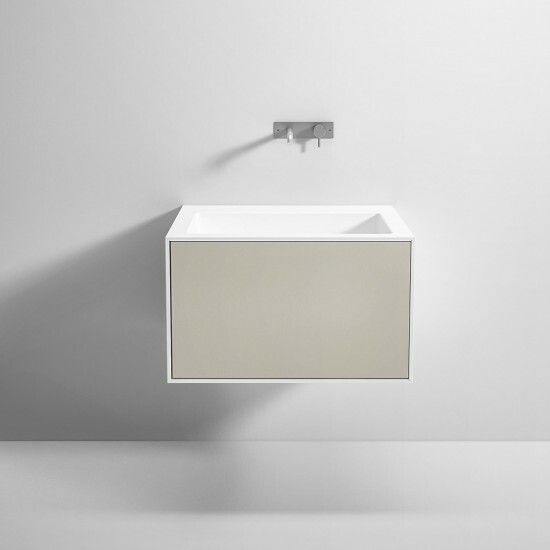 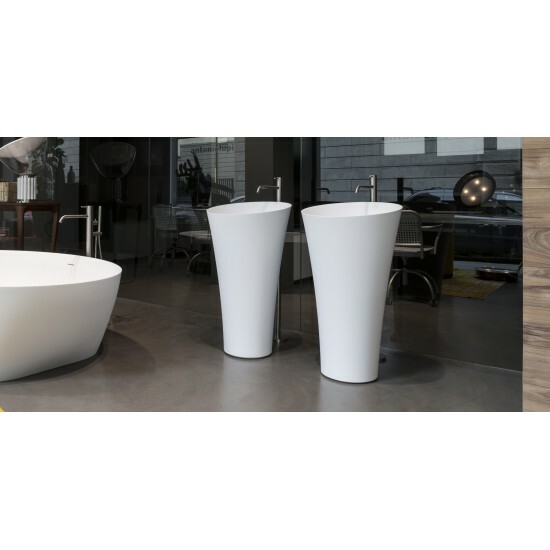 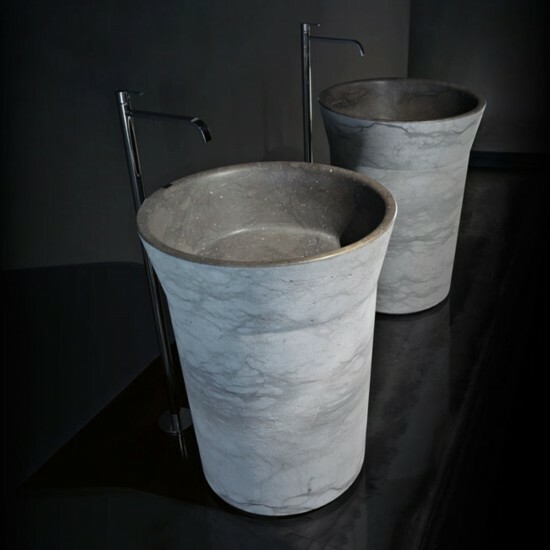 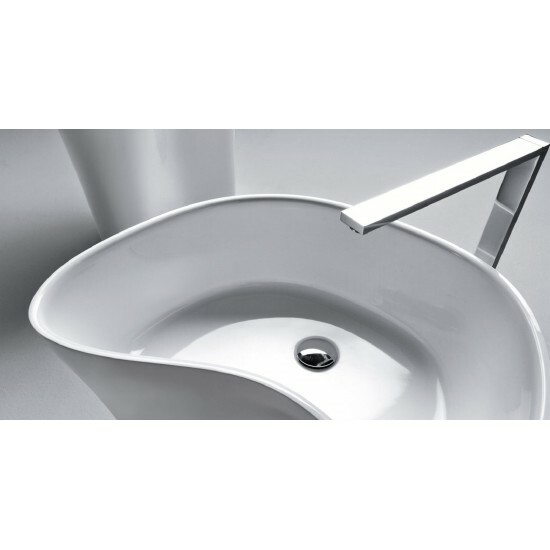 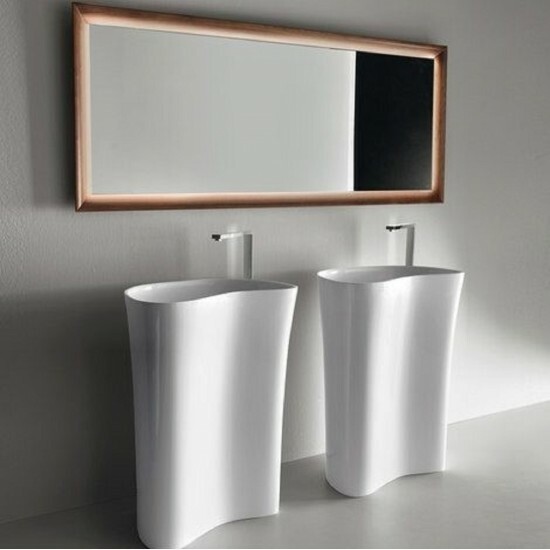 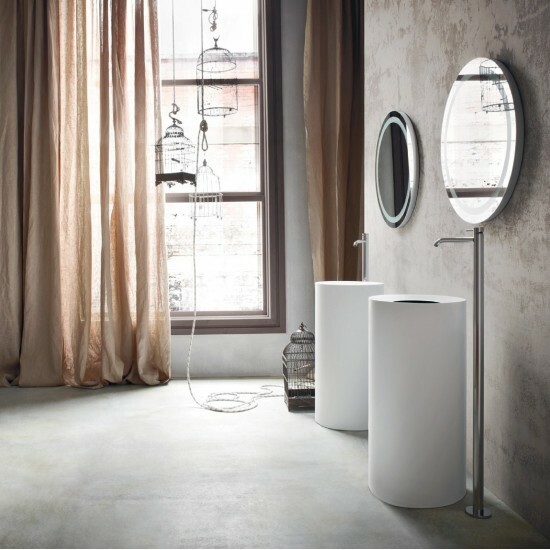 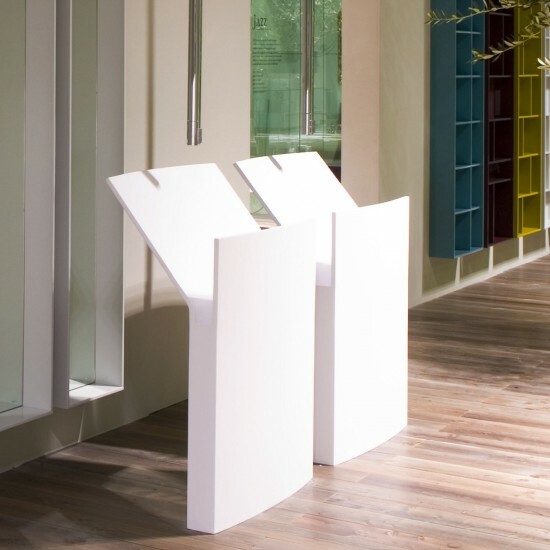 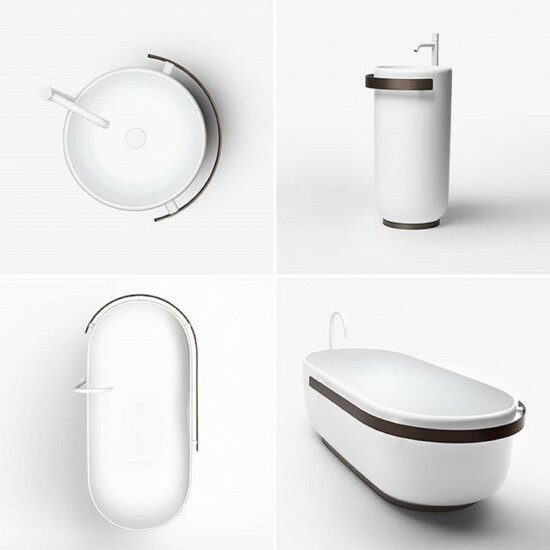 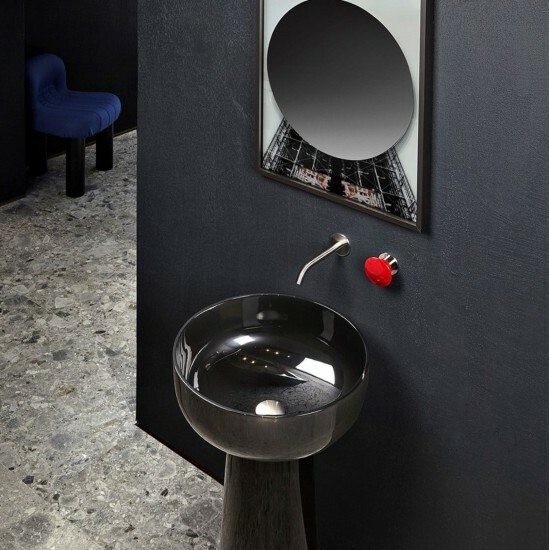 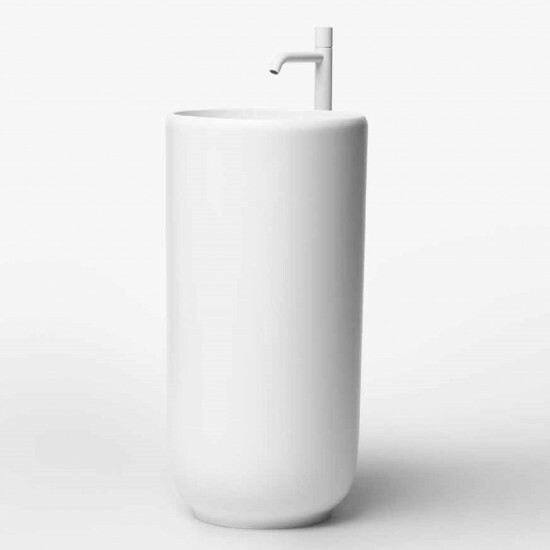 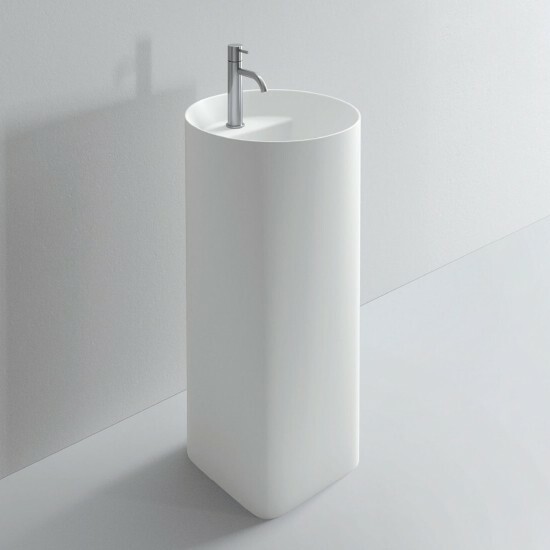 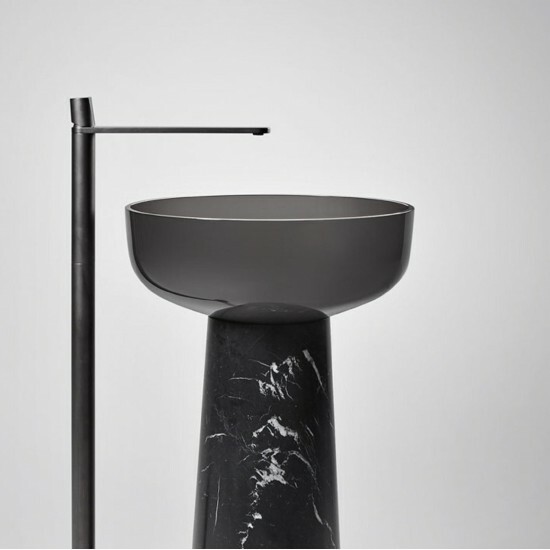 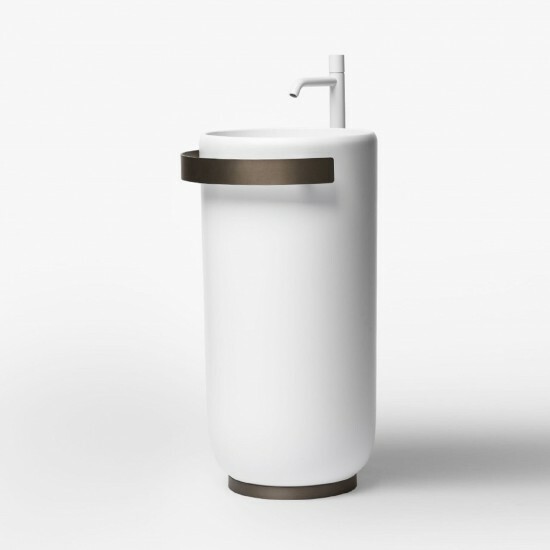 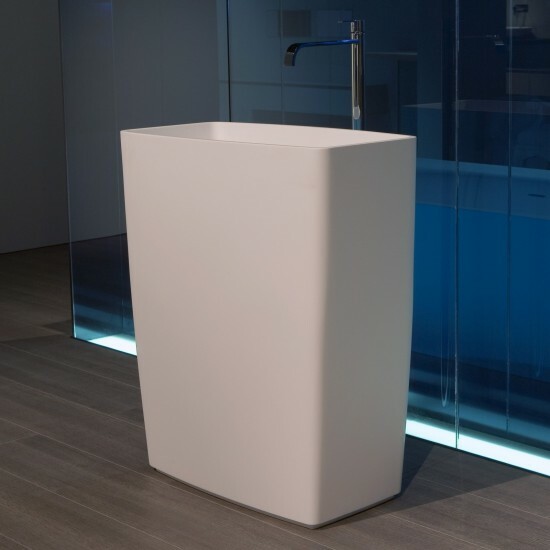 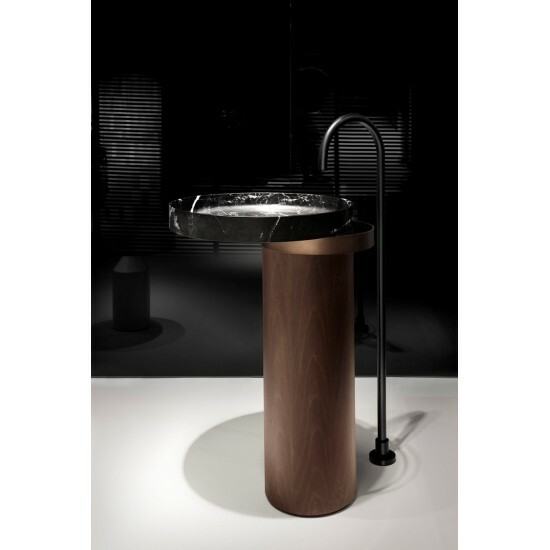 Fusto is a freestanding sink made on flumood with net precise lines. 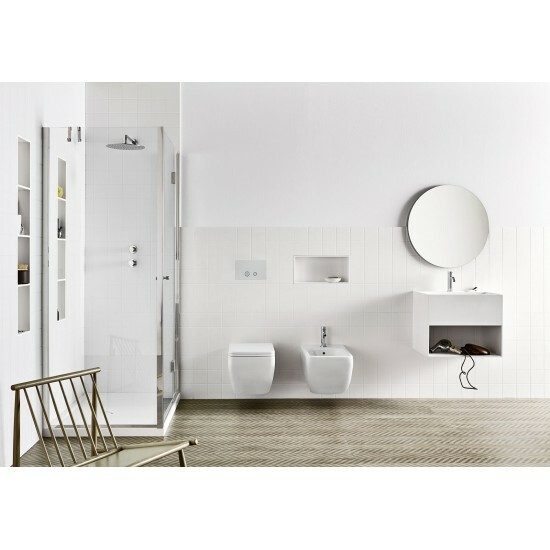 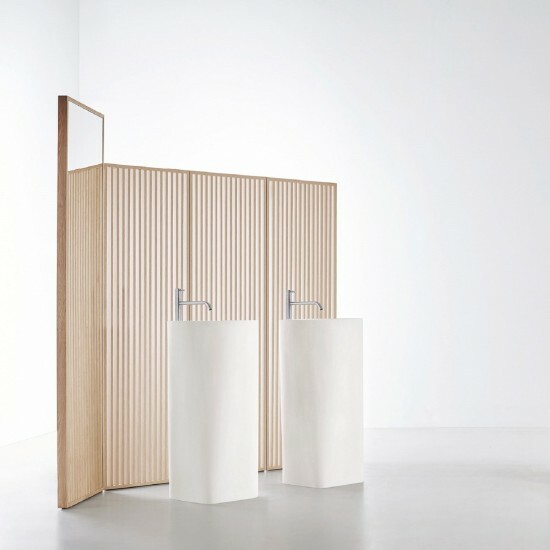 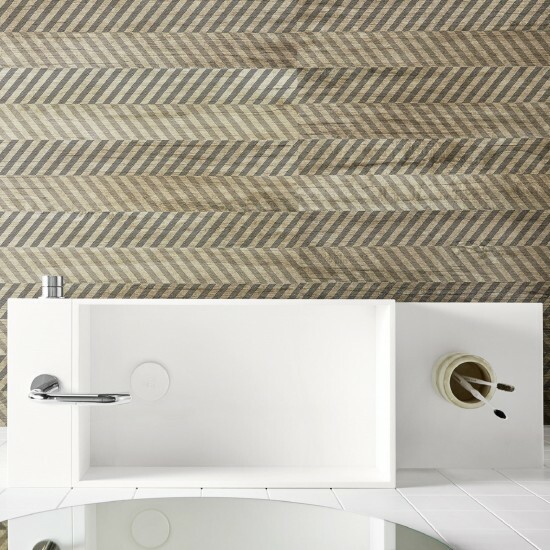 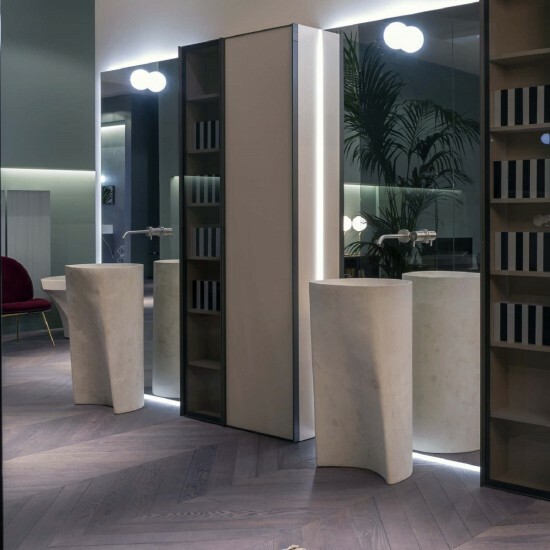 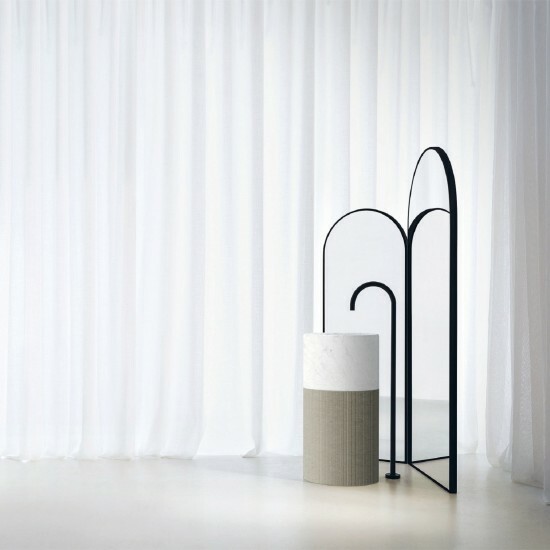 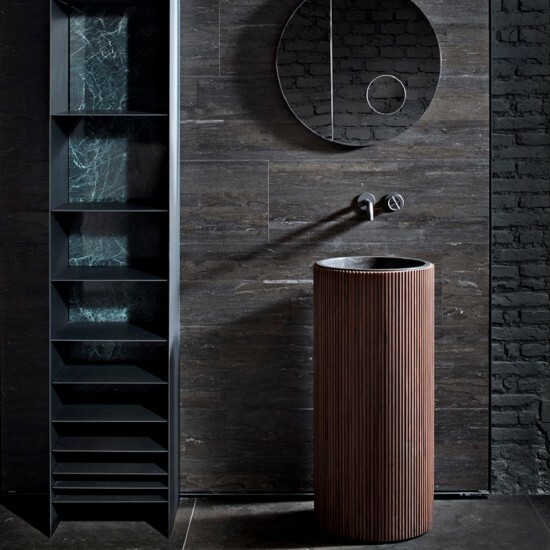 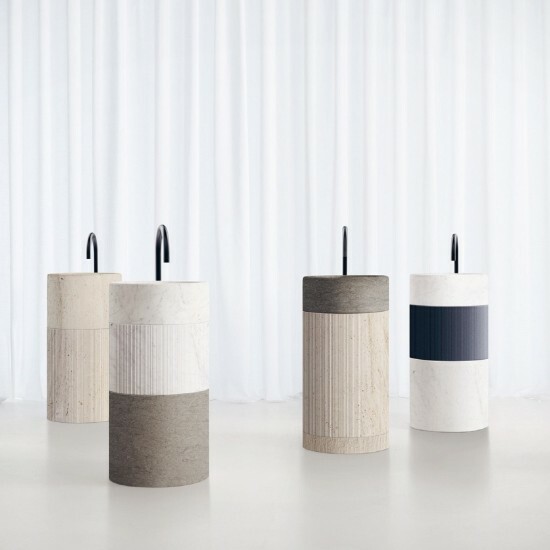 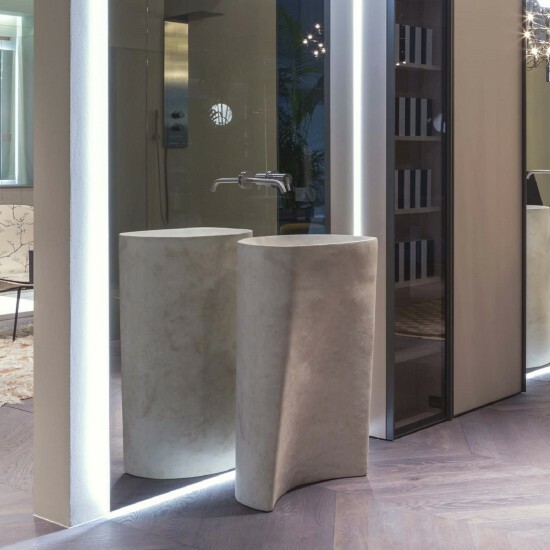 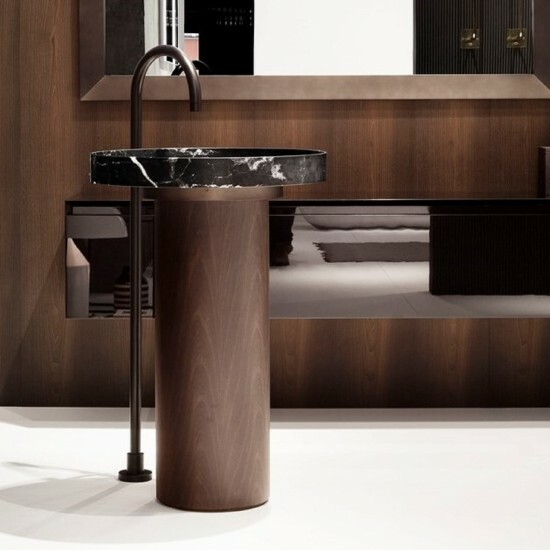 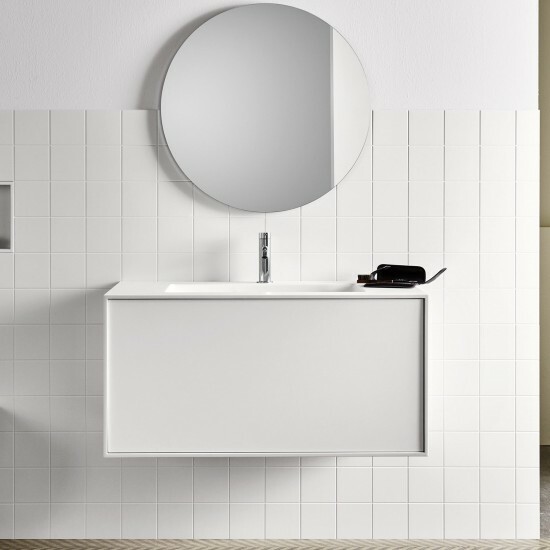 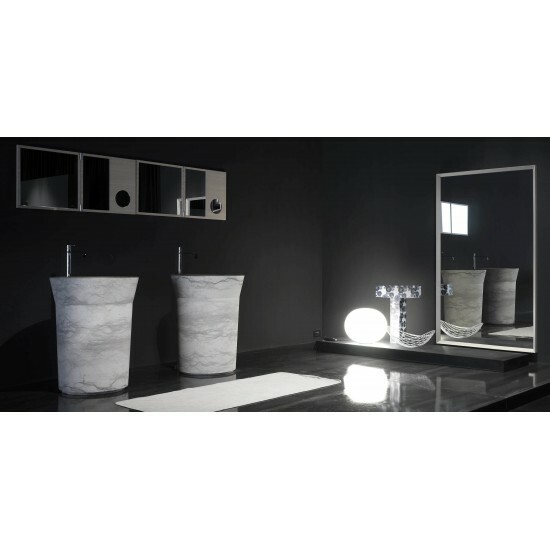 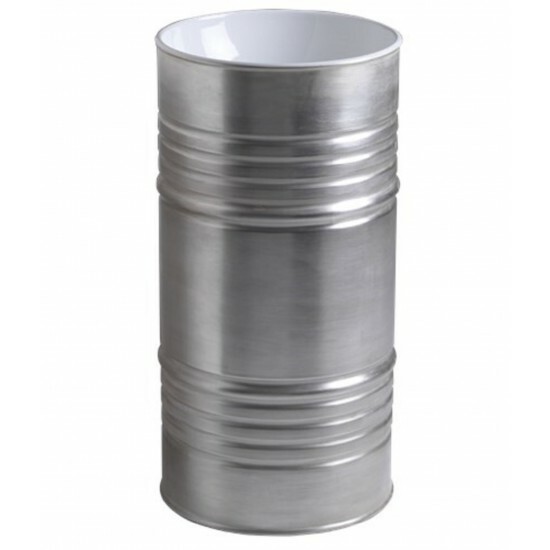 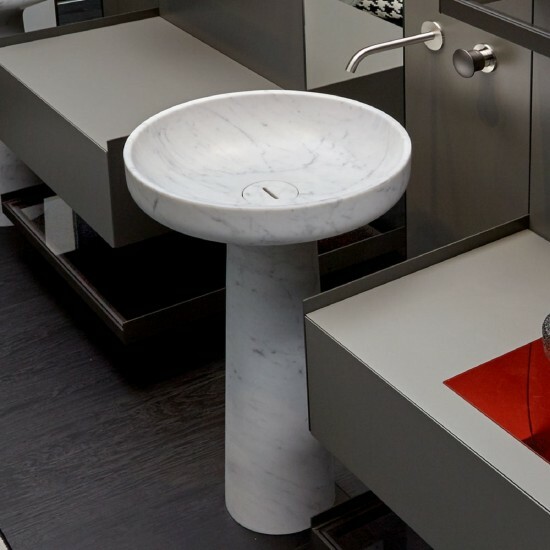 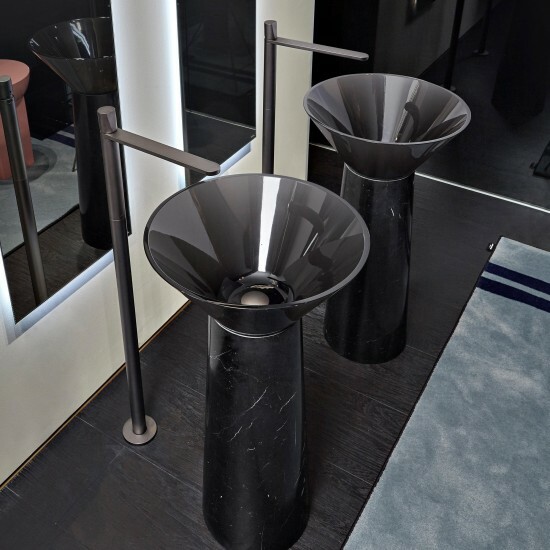 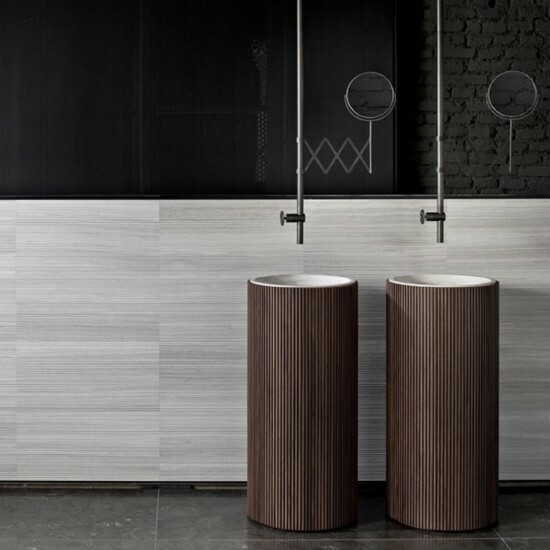 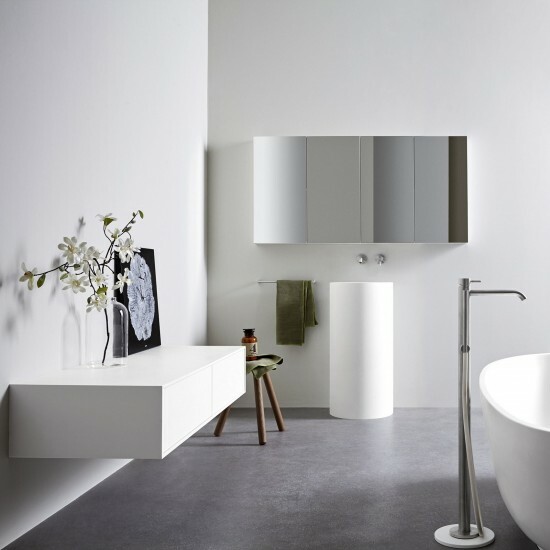 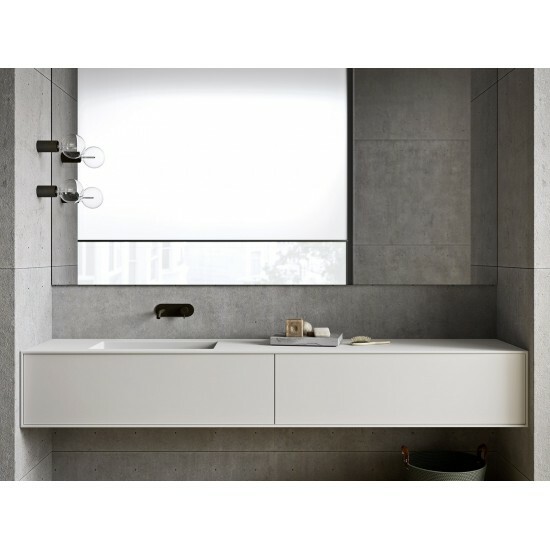 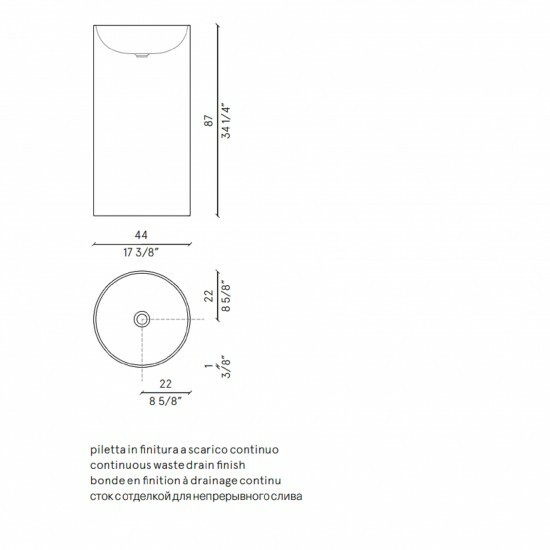 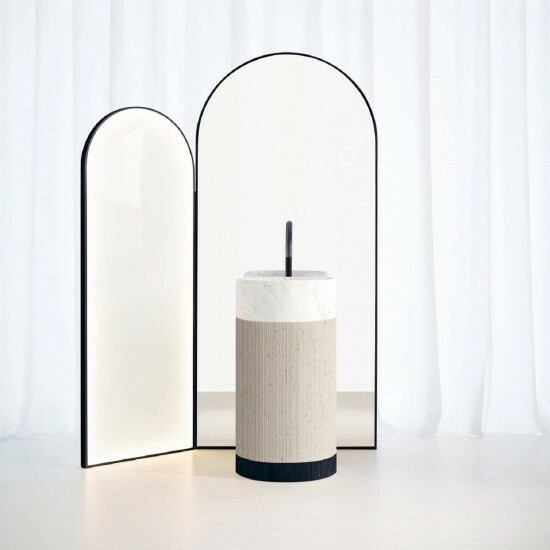 A towel bar runs along both sides of the basin underlining its shape and defining the corner. 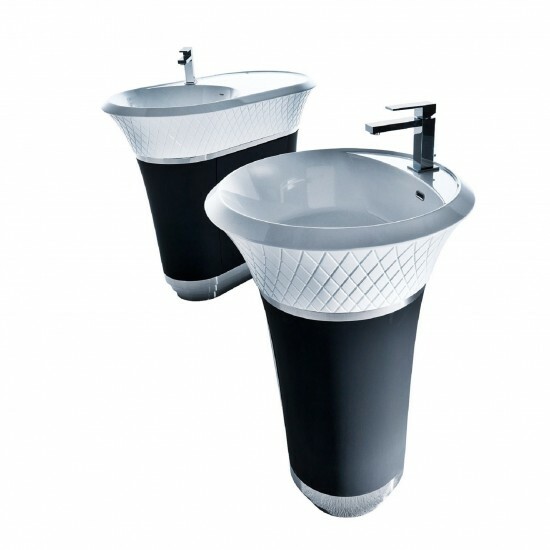 Floor drainage complete with open plug, siphon and flexible hose.